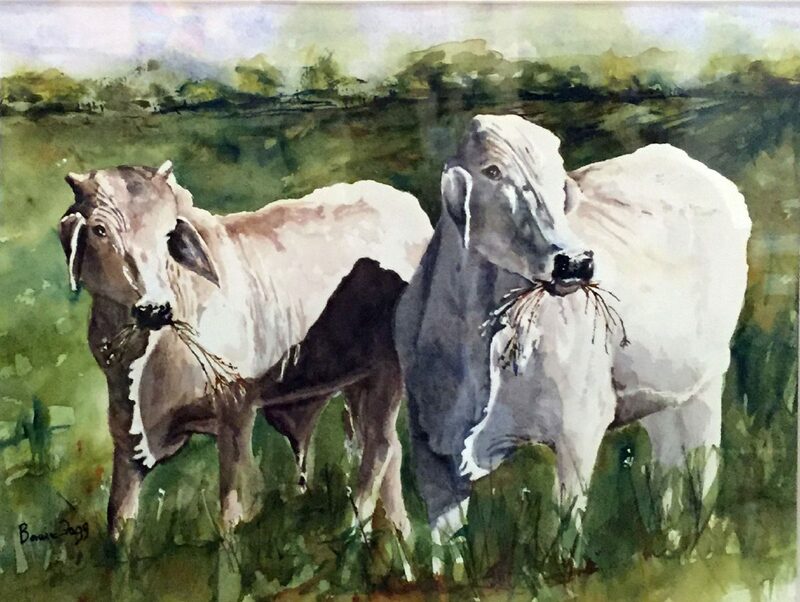 The Hidalgo Watercolor Society offers a strong exhibition this year, presenting artists, who have mastered the finer points of the watercolor medium, as well as a few still aspiring. On display at the Kika de la Garza Fine Arts Center, this is a large showing that manifests memories of diverse parts of the United States by turning them into artworks. Traditional watercolor is notable for expressing realistic perceptions of the environment; paintings in this exhibit do it especially well. 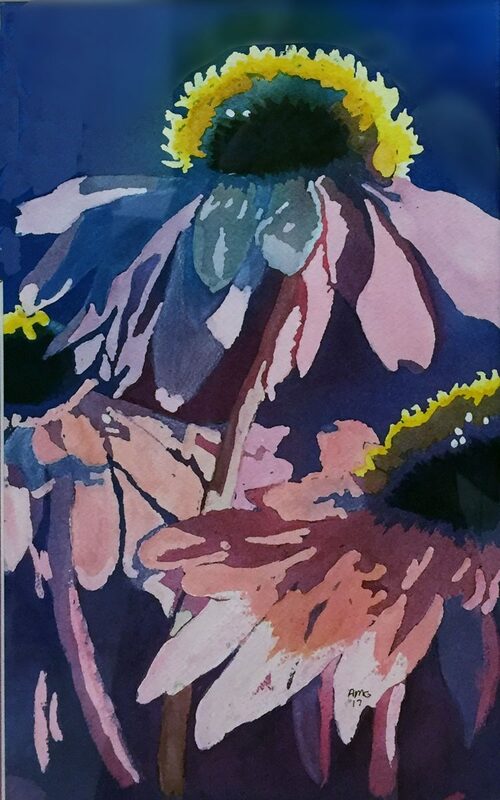 Could it be that there’s a type of clarity in traditional watercolor that we are currently lacking in our daily contemporary lives? Because this show makes it feel that way. I noticed three interesting approaches to potentially lackluster genres done so well that they become exhilarating not only technically, but also through the image selection. Some artists went for exacting realistic effects, demonstrating precision in seeing, drawing skills, and remarkable watercolor control. 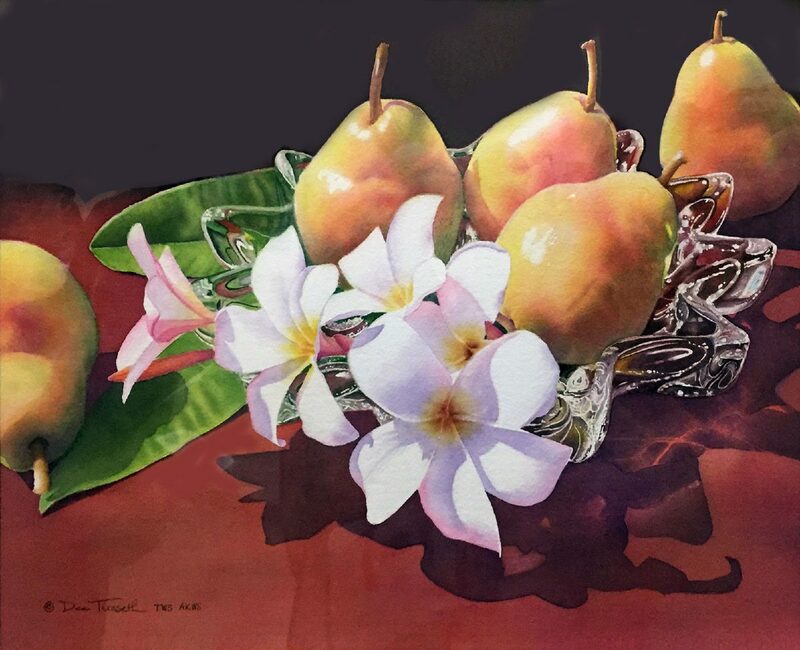 Dee Tunseth’s “Pears and Plumeria” and Bonnie Fogg’s “The Majestic Ones” are photographically persuasive, which is usually not a watercolor characteristic. While still realists, some watercolorists transfer their emotional reaction to the scene into their compositions. 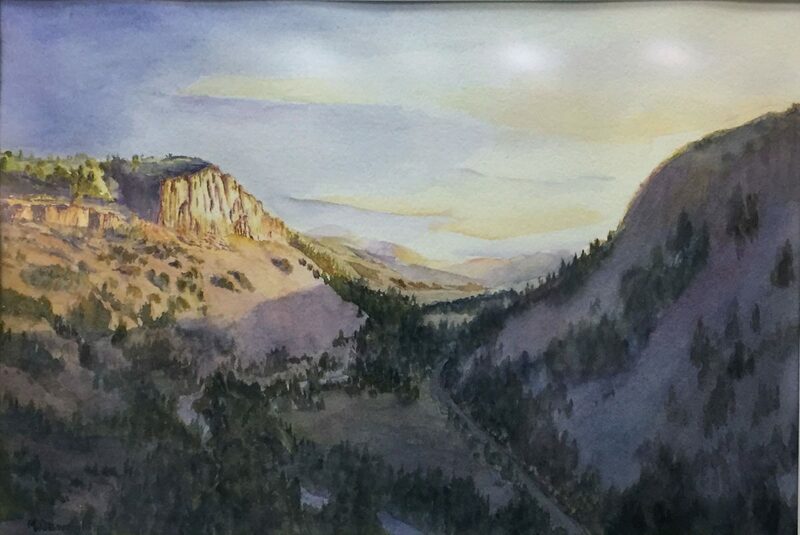 Mary Wainwright’s “Gate View — Lake Fork of the Gunnison” could be your standard American scenic view if not for the unexpected shadow. The inclusion of this vast, perfect shadow brings the viewer into the temporal reality of the subject. “Night Sky” by Maureen Dodge strikes a magical chord with its brilliant light behind the mountains abutting a still star-filled sky. 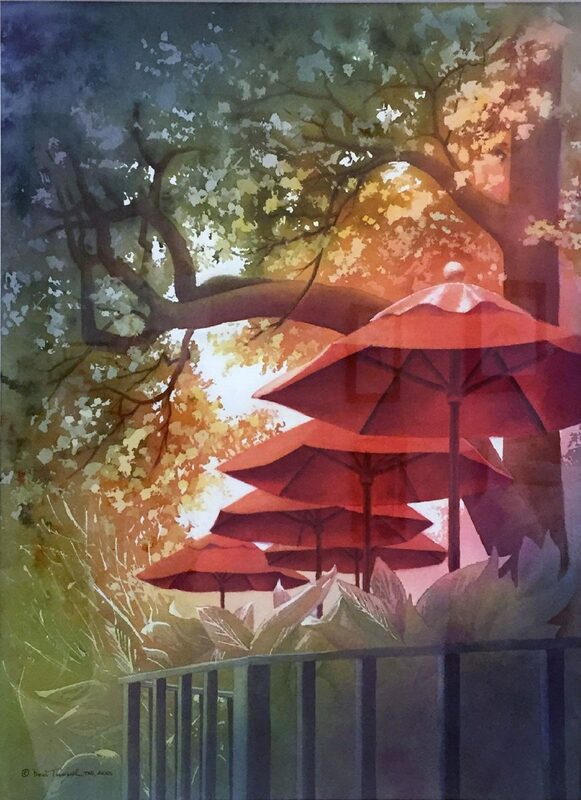 Tunseth’s “Red Umbrellas” shares this same mystical-magical feeling; pieces of a bright sky turn trees from a blue-green hue into orange as outdoor patio umbrellas glow beneath. Dodge, Freddie Harmon and Anne Glatt allowed the artistic vision to politely supersede the empirical one. 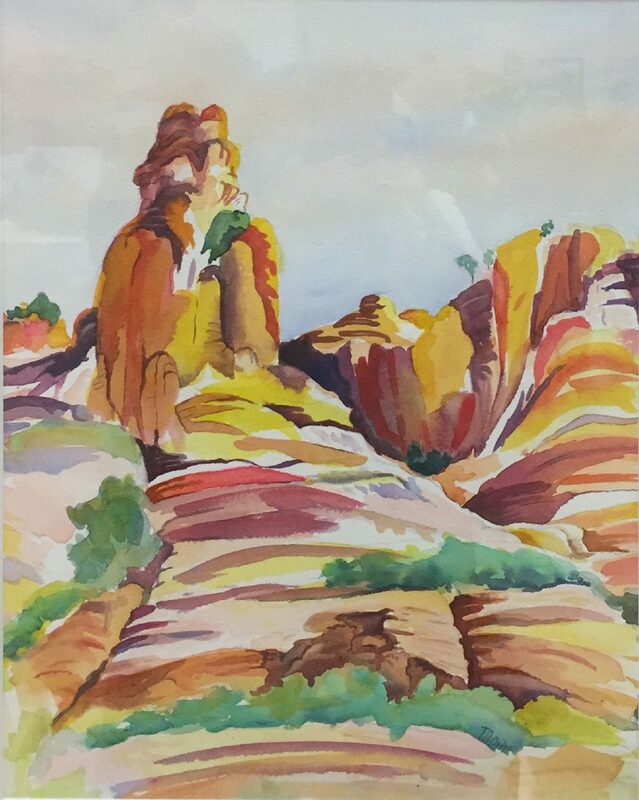 Harmon’s “Succulent” inspires ecstasy with surprising colors, “Night Beauty” by Glatt brings the flowers to life with its color patterns, and in “Sedona”, Dodge views the landscape as horizontal bands of color sometimes shifting into diagonals as she moves us up into a vertical outcropping. The show reflects the travels, home bases, and personal interests of the HWS members. In places the exhibit reads like a travelogue, such as the group of small and simple scenes reminiscent of postcards. And there’s always the bird paintings. Tip to novice watercolorists: birds are not your friends. 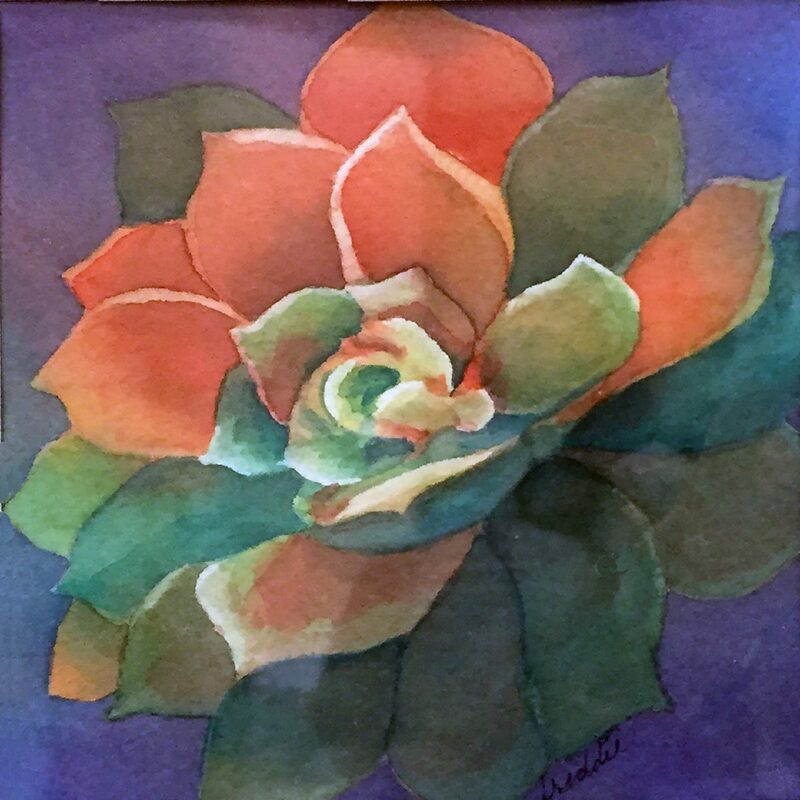 HWS operates under the auspices of the Upper Valley Art League which is a membership-based nonprofit arts organization dedicated to teaching, preserving and inspiring the arts in the RGV.